With so many people flocking to Nashville and its neighboring cities in the Mid-South region over the past few years, the number of construction sites seems to be endless. This is a tremendous opportunity for construction companies. Yet, many are falling short on branding their construction sites. At best, they are simply masking their work. At worst, they are creating an eyesore that is resented by the community. At Big Visual Group, we offer knowledgeable insight and helpful products to best identify and brand your construction site. We’ll also help mask and protect any in-progress parts of your building to keep consumers focused on your informational signs instead of the unfinished product. We offer everything from subtle, in-ground construction site signage to mounted, weather-resistant signage in larger formats. We also offer a variety of barrier and safety sign options, fence mesh, and window vinyl. Our window graphics are an excellent way to mask construction and advertise residential or multi-business developments that are for lease or rent. 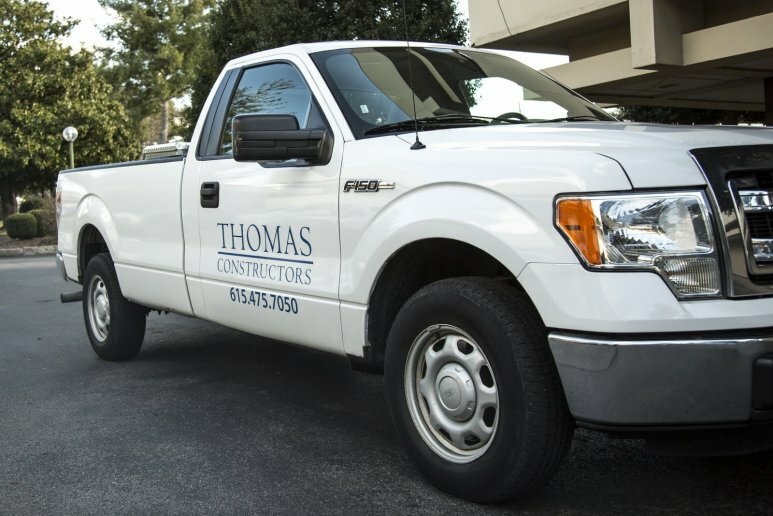 And of course, vehicle graphics for your trucks are mobile billboards that spread awareness of your brand as you drive to and from and park at the site. 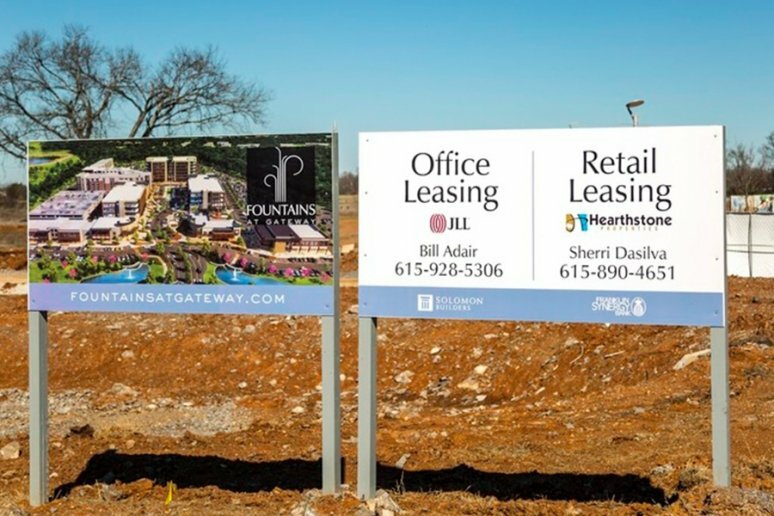 As Nashville’s premier print and sign shop, we are all about helping to create a more vibrant beautiful city, even as it experiences construction growing pains. We’d love to work with you on the design, production, and installation of whatever construction site signage and branding products you may need. Get in touch with us to break ground on the project today!